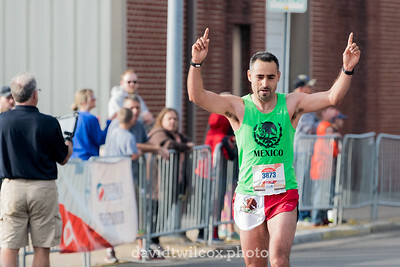 The Joplin Memorial Run marathon, half marathon and 5K in Joplin, Missouri. 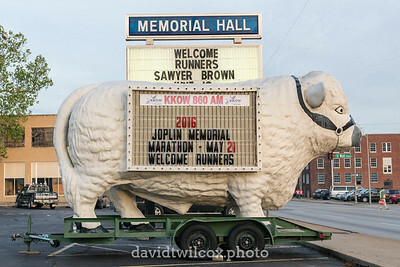 The KKOW bull welcomes runners to the starting line area of the Joplin Memorial Run in central Joplin, Missouri. 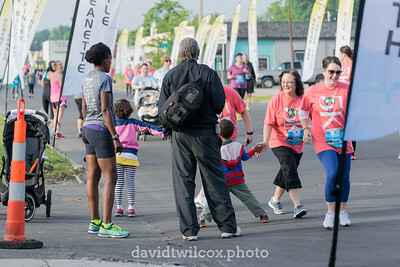 Runners and walkers in the Joplin Memorial Run 5K and Half Marathon get high fives and loud cheers from kids near the finish line. 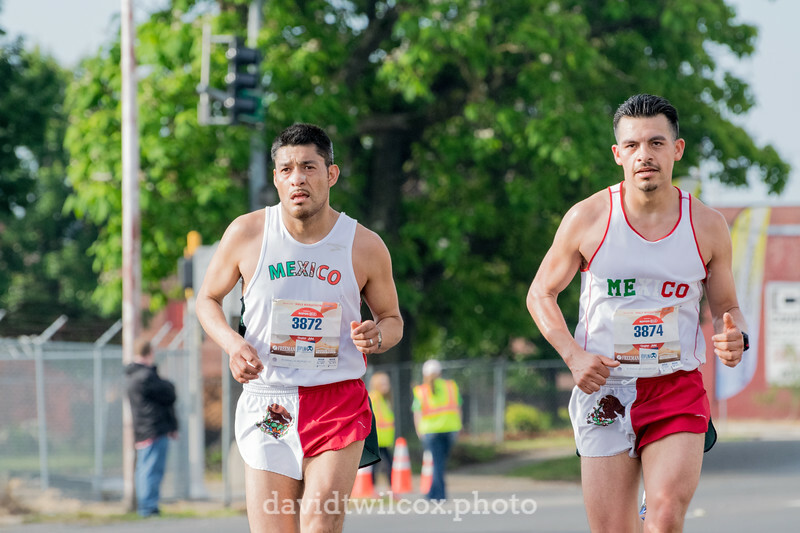 The flags along the first / last mile of the race have the names of all 161 people killed in the May 22, 2011 Joplin tornado. 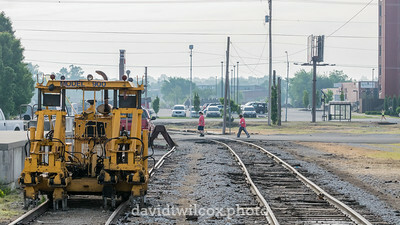 Walkers in the Joplin Memorial Run 5K and Half Marathon cross the railroad tracks near the finish line of the race. 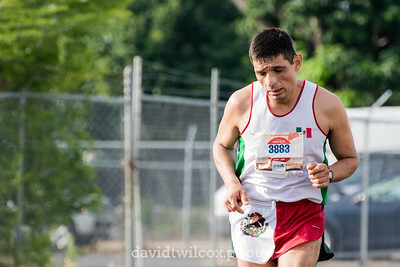 Two runners drive each other the final stretch to the finish line at the Joplin Memorial Run half marathon.